Call Now for a Crazy Deal! Premium tinting for all types of vehicles. Lifetime Guarantee. We offer and install quality HID & LED lights that fit most vehicles. Choose from the top brands in custom wheels. All Sizes Available from 17" to 27". Your car is a personal expression of who you are inside and out. 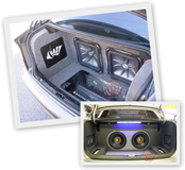 When you are looking to have car audio installed, it is important to find the Orange County car audio shop that will best meet your needs. This includes several important aspects that many people often overlook when they do not take the time to do the proper research and find the best fit for their needs. Before you look for a car stereo shop, you need to make sure you do your research so you can ask the right questions and will not be taken advantage of. 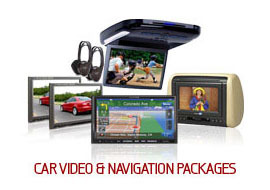 When looking for a car audio dealer to upgrade your vehicle stereo or audio system, you will have many options. 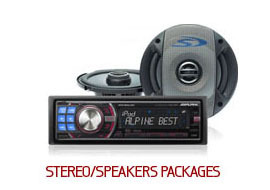 Amongst those options you will find authorized car audio dealers and non-authorized dealers. This is especially true in the competitive car audio dealer market in Orange County. 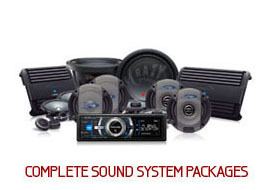 There are several reasons to choose a Car Audio Authorized Dealer. What is the true difference between bad car audio installation and a professional car audio installation? Quite a bit, actually. To start, a bad car audio installation leaves your project with a disappointing experience where you wind up fighting for fixes, a refund, or going to someone else to fix the problem. We all have had bad customer experiences. Knowing when you have a bad one is easy to identify. Usually, something does not feel right or you sense a red flag comment or visual that sets warning bells off in your head. Sometimes, though, we get so excited by what we are buying that we ignore those signals telling us to go somewhere else. Instead of focusing on bad car audio installations, let’s examine what characteristics a professional car audio installation has. You can take this information and when you see the absence of it, know you are in for a bad car audio installation. When Becker Assad opened up Crazy Stereo in 2003, he was ready for the responsibility. After all, he had been store manager at a Stereo One shop for three years, and had many years of employment at other 12-volt shops under his belt. "I was very ambitious and didn"t ever feel that I was going to fail, unlike most others," said Assad. But what he didn"t anticipate were all of the time-consuming, nitty-gritty details that go into running a business and can throw a wrench into even the best-laid plans. All Rights Reserved. © 2017	Crazy Stereo, Inc.